Home » Our Doctors » Eric Leser, O.D. 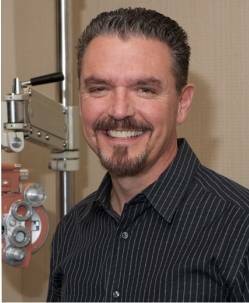 Dr. Leser brings with him teaching experience having taught in the Contact Lens Department at SCCO. He also served as an Assistant Chief Examiner as well as a senior and supervisory examiner with the National Board of Examiners in Optometry (NBEO), the organization that administers licensure examinations for over 40 states. Dr. Leser’s wife is also an optometrist who practices here in Granada Hills on Mondays and spends the rest of her time in their Woodland Hills office. When he is not working, he likes to spend time travelling with Dr. Leung and goofing around with his 2 children. However, someday he may be working with them instead of goofing around with them as they have both said they have not ruled out the family business as a career choice.